NASHVILLE, TN – Google uses lots of factors to determine search engine rankings, and one of those factors is freshness. 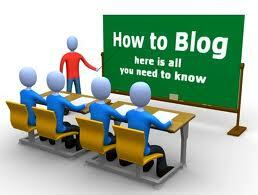 I’m sure you know by now that to increase SEO, blogs are essential. In terms of duplicate content SEO, efforts can be thwarted if Google picks up on identical content, even across different URLs. 1. How To: People searching the Web often want to know how to do something. Tutorials are great traffic-drivers, and they provide readers with valuable information. Videos can also provide great tutorials, but if you choose that route remember to include a transcript for SEO purposes. 2. Lists: You may have noticed that this is a list post. Lists are popular, as potential readers can tell from the blog titles that information will be broken down in an easily digestible form. In a list post you can quickly scan the content to see if it’s relevant to you. Not every reader will linger long enough to carefully read your post, but list posts are easily shared and frequently clicked on. 3. News: Timely information makes great content. There are benefits to evergreen content, but there are also benefits to time-sensitive posts. Posting a timely response to an issue could get you hits as users search Google for breaking news. You could write a press release on a new product or service your company is offering. You could write an anniversary post to celebrate your business’s first or fifth year. Or you could write a piece on a newsworthy event in your industry. 4. Product or Service Review: You may have experienced exceptional customer service somewhere. Or you may have purchased a product that exceeded your expectations. When a product or service has wowed you, it may be worthy of an entire post of its own. Make sure the product or service you review is relevant to your business. You also should try to be honest; don’t review a product you haven’t tried just because it’s popular. Speak honestly and write from first-hand experience. If your post is sponsored, say so. Readers like honesty and openness. 5. Series: You may have a great idea for a topic, but once you delve deeper you realize that the topic is vast. Break up that information into a series of related posts. We’ve done this at Millionairium. Vonya Griffin wrote a great two-part series called Building a Site Google Loves. The topic was too much information to fit neatly in one post, but it makes a great two-parter. 6. Interviews: Interviews are fantastic for sparking debate in your industry. Outline a few questions your readers would like to see answered, and then brainstorm a good interview subject. The Q and A format is pleasing for readers. 7. Guest Blog Post: Ask a colleague or peer to write a guest post for your blog. Not only will you gain a fresh voice on your blog, the links from your guest seo blogger‘s original site will help your site climb the Google first page of search results. Rand Fishkin, CEO of SEOmoz, gives great tips on how to jumpstart a guest blog post – just scroll down to #10. He also suggests pitching a specific topic to your potential guest blogger. If you’re the guest blogger, then pitching is easier if the hosting blogger can read over your unpublished piece before agreeing to a guest post. 8. Contests: I read a few blogs faithfully, and I’ve seen a trend of giveaways. Bloggers will detail certain rules for entry, usually as simple as posting a comment on the blog post or sharing it on specific social media outlets. This is a great way to create an active community and have your loyal readers share your post with all of their virtual friends. 9. Controversial Posts: Posting about a controversial subject may get you an influx of clicks, but you also run the risk of alienating readers who disagree with your post. Don’t write a post for shock value thinking you’ll gain thousands of clicks. Instead, write about an issue that means something to you or your business. Back your stance up with facts, not exaggerations and emotions. 10. Editorial/Personal Anecdote: Your SEO efforts are for Google. Your keywords and metadata are in place for your blog post. But your content should be for your reader. Readers like a good story. Millionairium CEO Ali Husayni wrote a recent post on starting his first business at 16 years old. This statement immediately makes me think of my first job, my first paycheck. I’m able to connect to the writer’s memory with a personal memory of my own. Your readers will enjoy a good, interesting story. These aren’t the only types of content you can produce, but this should give you a good start for brainstorming for your future blog posts. So once you choose a topic, write the blog post, publish it, and share it across your social media outlets, you’ll want to monitor it’s popularity. Use Google Analytics to see how your new content drives traffic. Take note of which types of post gain the highest traffic – this will clue you in on what your audience likes. What are your favorite types of blog posts to write? What posts do your readers enjoy? \”How to do\” is my most searched term in google, face it we are self taught, learning from others, experimenting as we go, all searching for the golden key to google.. And if we re lucky enough to get there, we wonder what exactly did we do to succeed. Then google changes the rules and to the poor house we go, scaling down, regrouping, searching for new ways to climb and soar to the top again..But once we have tasted sucess and the rewards that come with it $$, we set sail on the voyage to find it again.. I think howto\’s are the most popular ones, but most times it\’s merged with the lists, so, I think, you shouldn\’t list them as two separated categories. Thanks for kool info, BTW!